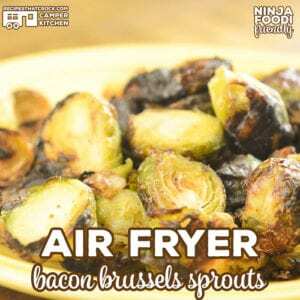 Air Fryer Bacon Brussels Sprouts (Ninja Foodi Recipe) - Recipes That Crock! 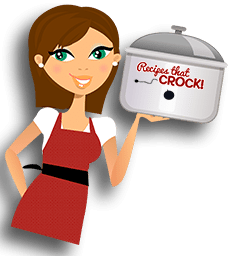 Are you looking for a delicious side dish recipe? Our Air Fryer Bacon Brussels Sprouts is our favorite low carb salty snack or side to make in our Ninja Foodi! Truth be told, I have not always been a Brussels sprouts fan. However, since going low carb, I revisited this veggie a while back at a restaurant and had my mind completely blown! 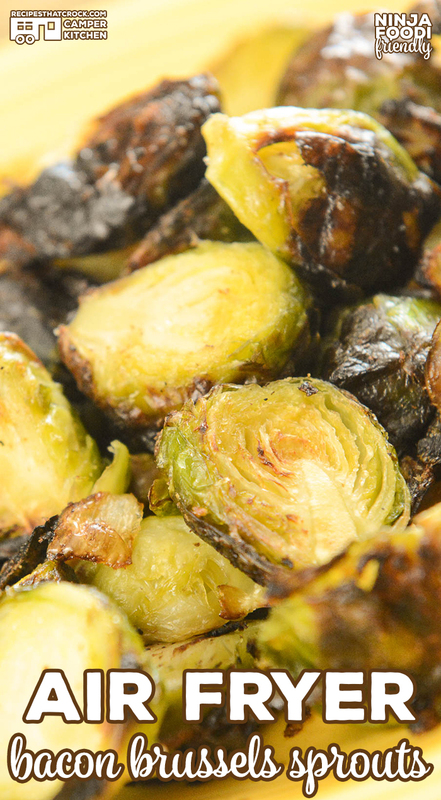 Their Bacon Fried Brussels Sprouts totally changed my mind and put me on a mission to recreate them in my air fryer. And now that I have my Ninja Foodi, I decided to go all in. To say my family is obsessed with this recipe would be a HUGE understatement. As someone who eats low carb I have to say this is my absolute favorite salty snack much like french fries used to be! They are savory, salty, crunchy on the outside and tender on the inside– YUM! When eaten with ketchup, they do not taste bitter at all– who knew?!? My family has already sat me down and told me that these simply HAVE to be at the holiday table. They were deeply concerned about quantity and thought I should at least plan on making a double batch! Reminder, we are talking about Brussels Sprouts here. We prefer to use frozen Brussels sprouts in this dish because it is easy to make more on the spot. Keeping frozen bags in the freezer and make batches as needed is a must around here. 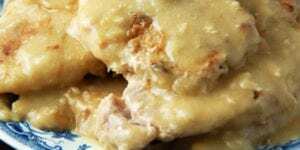 Unfortunately, we have not tried making this recipe with fresh. 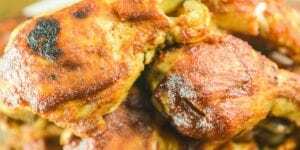 We make this recipe in our Ninja Foodi but you can make it in any air fryer. 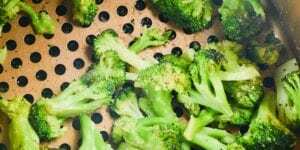 Air fryers may cook differently. Always first test in your unit attended. Times may vary. 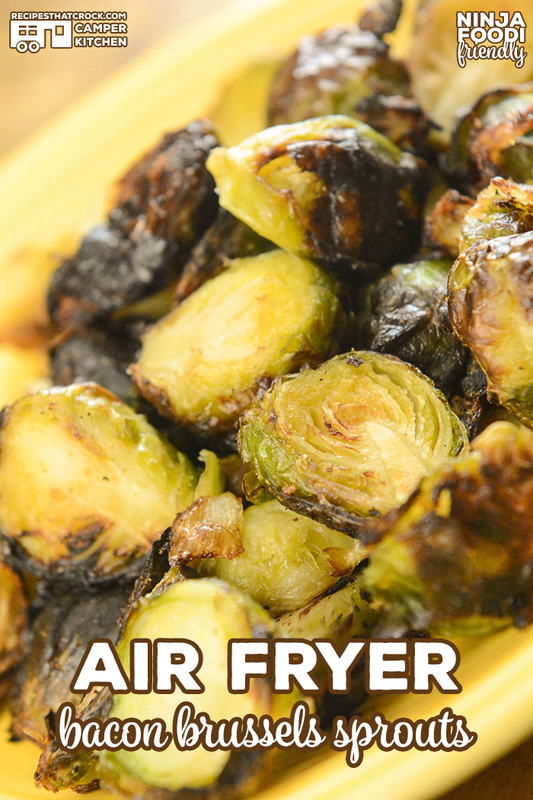 Find more Air Fryer Recipes here. 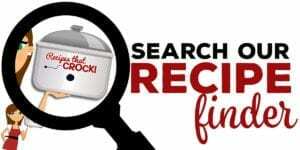 Our Low Carb Recipes can be found here. In a skillet or the Ninja Foodi pot, heat fat over medium heat and saute onion, garlic, sprouts and seasonings, gently stirring often. Cook until onions become tender and split the mixture into at least two batches. If using the Ninja Foodi, carefully wipe out and place the air crisper basket in the unit. Add half of the batch to the air fryer basket, making sure that there is room for air to circulate the sprouts. 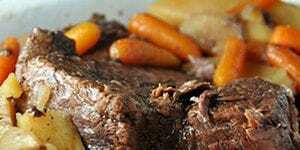 Set air crisper or air fryer to 390 and cook for 12-15 minutes and check for desired amount of crispness. We like ours slightly charred, so we often add more time to get the batch just right. Once a batch is done, empty basket and salt to taste. Carefully dump out any charred bits in between batches. We prefer to use frozen Brussels sprouts in this dish because it is easy to make more on the spot. We keep frozen bags in the freezer and make batches as needed. 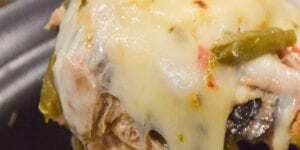 We have not tried making this recipe with fresh. Y’all are adorable! I really appreciate this recipe. Do you have any advice for how to do Brussels sprouts _without_ defrosting first? I know it works in the oven, but my trial batch was a little bitter still, not soft and creamy and mellow inside. I haven’t tried it from frozen because I like to cut them in half so get the outside layers nice and crispy. Did you cut yours in half?